Situated in the seaside town of Keel on Achill Island, the Trawmore Holiday Homes offer self-catering and detached bungalows. The Blue Flag beach is just 5 minutes' walk away. Each spacious house offers 2 double bedrooms and 2 single bedrooms. Guests can enjoy partial sea views from the living room windows. 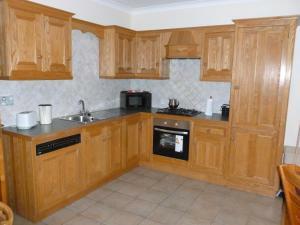 The kitchens in the Trawmore Holiday Homes include an oven, fridge, and a toaster. Achill Island is home to cosy pubs and fine-dining restaurants. It also offers exciting watersport activities. Featuring panoramic views over Clew Bay, Keel Lake, and the Minaun Cliffs, the Baile Slievemore Holiday Homes offer self-catering accommodation with free onsite parking. 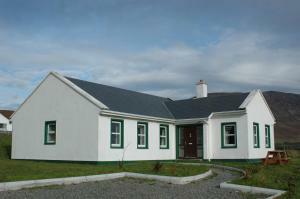 High on the slopes of Slievemore, the quiet cottages are on Achill Island. With natural stone and pine flooring, each three-bedroom cottage includes a fitted kitchen with a dishwasher and a washing machine. 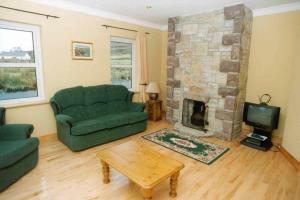 The living area has a TV and an open fire. 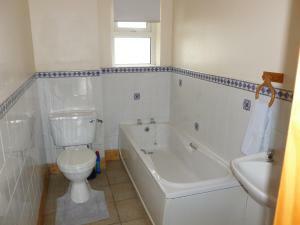 The Baile Slievemore Holiday Homes also include a ground-floor bathroom with a shower. 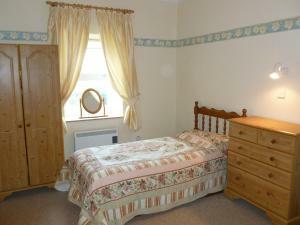 There is a double bedroom, a twin bedroom, and a single bedroom. 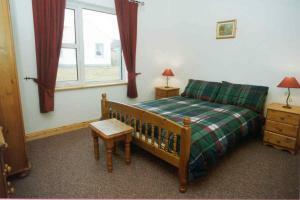 The main village of Keel is just 1.9 miles from the Baile Slievemore Holiday Homes. On the scenic Atlantic Drive, the rural cottages are next to Achill Island’s famous Deserted Village, close to the spectacular Neolithic Tomb. With stunning, themed rooms ranging from Venetian to ancient Chinese, fantastic views are offered at this Achill Island guest house. Guests can enjoy unique, exotic cuisine and late check-out. Luxurious décor and furnishings fill each room, with individual themes such as classical Roman, medieval, Mayan, or Arabian. Rooms enjoy either sea, lake or courtyard views, along with super king-size beds. Some rooms boast 42-inch plasma TVs or an in-room hot tub bath. Cooked breakfasts are served each morning, and evening meals are provided in the sumptuous surroundings of the restaurant with beautiful sea views. The a la carte menu offers an extensive range of global cuisine and wines. Keel?s centre is just a 10-minute walk away, and free parking is available. 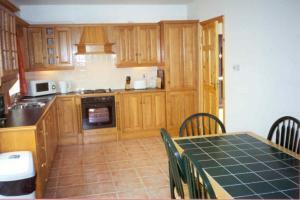 Achill Island can be reached by taxi or bus, and West Knock Airport is less than 2 hours? drive away. 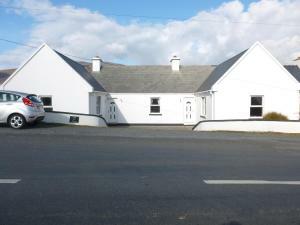 Featuring a terrace, Achill Head Hotel is set in Keel and also provides a shared lounge and a bar. Staff on site can arrange a shuttle service. All guest rooms in the hotel are fitted with a kettle. 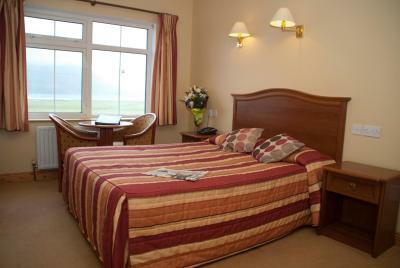 Featuring a private bathroom with a shower and free toiletries, rooms at Achill Head Hotel also feature free WiFi. Guest rooms in the accommodation are equipped with a flat-screen TV and a hair dryer. Breakfast is available daily, and includes continental, buffet and Full English/Irish options. You can play darts at Achill Head Hotel. Located in the picturesque village of Keel on Achill Island in Ireland, Gort na Mara features self-catering cottages with a garden. 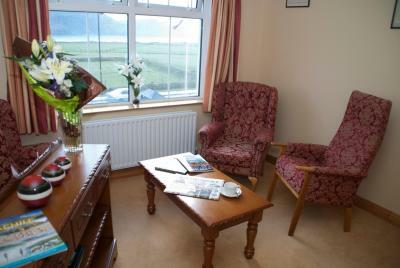 The cottages offer stunning views over Keel Bay and the Minaun Cliffs. The three-bedroom, semi-detached houses come with a fully equipped, open plan kitchen with stove and oven, a living room with TV and a bathroom. Some rooms have wooden floors and wooden-panelled walls. Guests can go surfing, hang gliding and kiteboarding 200 metres away on a Blue Flag beach. Keel Golf Course is less than 500 metres away and guests can enjoy watersports at Keel Lake, 10 minutes' walk away. Achill Cliff House Hotel overlooks Tramore Beach and the Atlantic Ocean, and has a restaurant serving local produce, free parking, and a relaxing sauna for guests. The family-run hotel is in the heart of Keel village, close to local amenities including a post office and children's playground. There is free Wi-Fi at the hotel. Achill Cliff House has views of the sea, cliffs, and mountains, and is an ideal base for walking, photography, surfing or simply relaxing. There is a bar next door to the hotel and another 3 minutes' walk away.